Canning stuff is all fine and good. But what are you supposed to do with it? 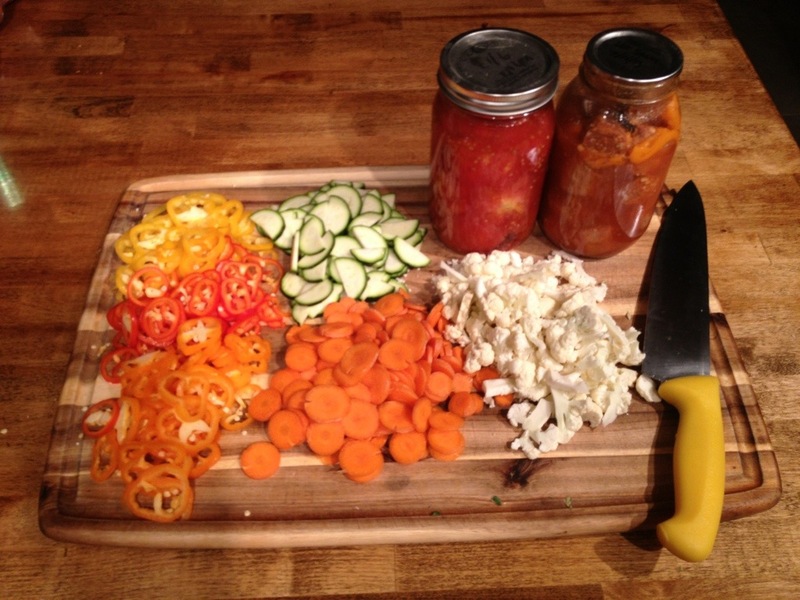 I’m trying to post more recipes that use home canned items to give you a better idea of options that are out there. When we canned 200lbs of tomatoes last year we considered making pasta sauce. But, not knowing what we’d use or in what quantity, we decided to stick with stewed tomatoes that could be made in to Italian sauce or a variety of other things. Over the last 9 months I’ve tried a variety if techniques and recipes. This is my favorite recipe for pasta sauce. I always start this recipe by raiding the fridge and pulling out all the vegetables that have been forgotten over the last two weeks. Bell peppers, sweet peppers, that little 1/4 of a head of cauliflower that’s starting to get rubbery, the one crook neck squash, and that pack of mushrooms you found on clearance. Pretty much anything you find is good. I always have, and always use, carrots. They add the perfect sweetness to the sauce. This time I happened to find some panchetta that needed using up. 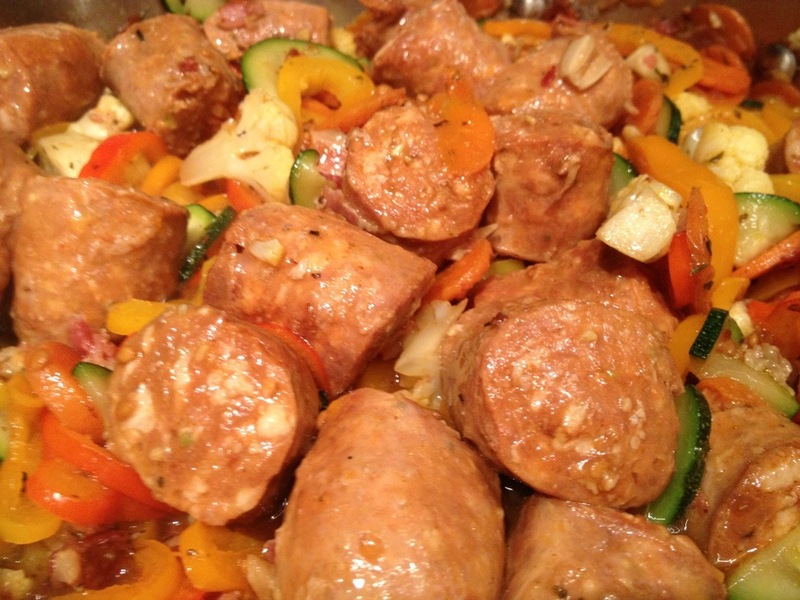 You could also add bacon, Italian sausage, or fat back if you have that. If you don’t just add more olive oil to the pan instead. 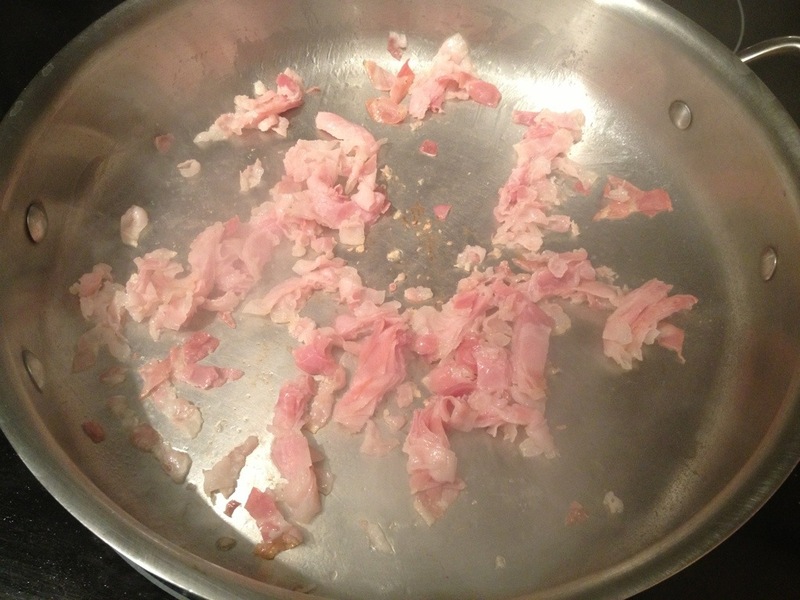 Start by rendering out the fat of whatever meat you’re using. Chop the onion and garlic, and slice the carrot into thin rounds. 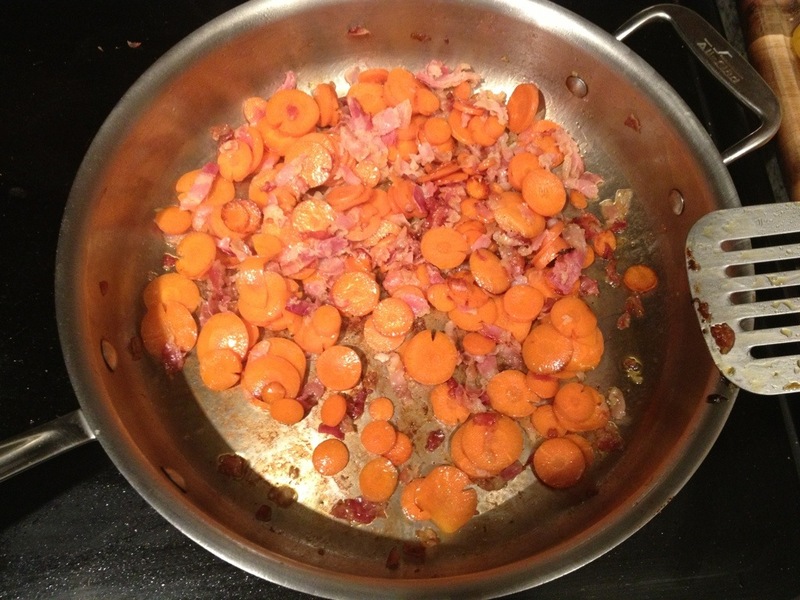 Add them to the hot pan and cook until the onions are translucent and the carrots are slightly browned and softened. 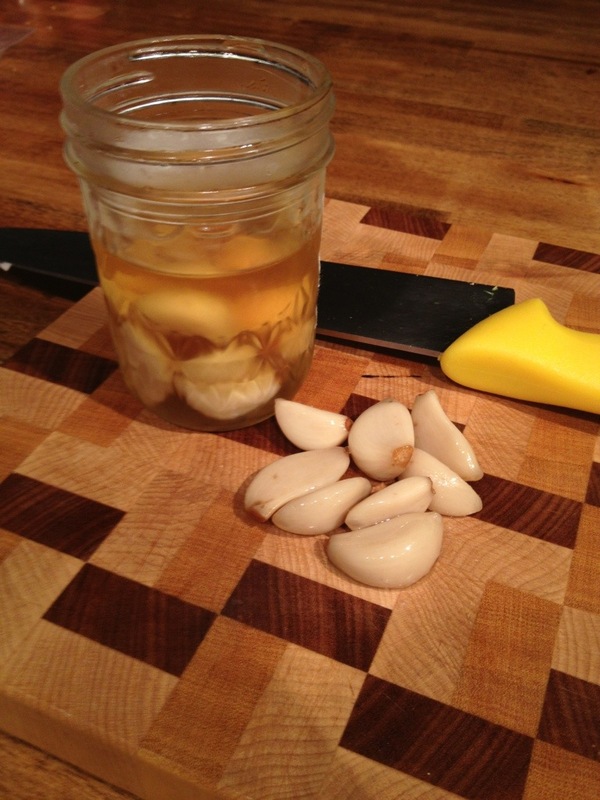 For this recipe I used pickled garlic that I made previously. Pickled garlic is great. It makes garlic last 6 times as long, preserves all the garlic flavor, but takes that acrid bite out of the cloves. Add the the vegetables in order of hardness. 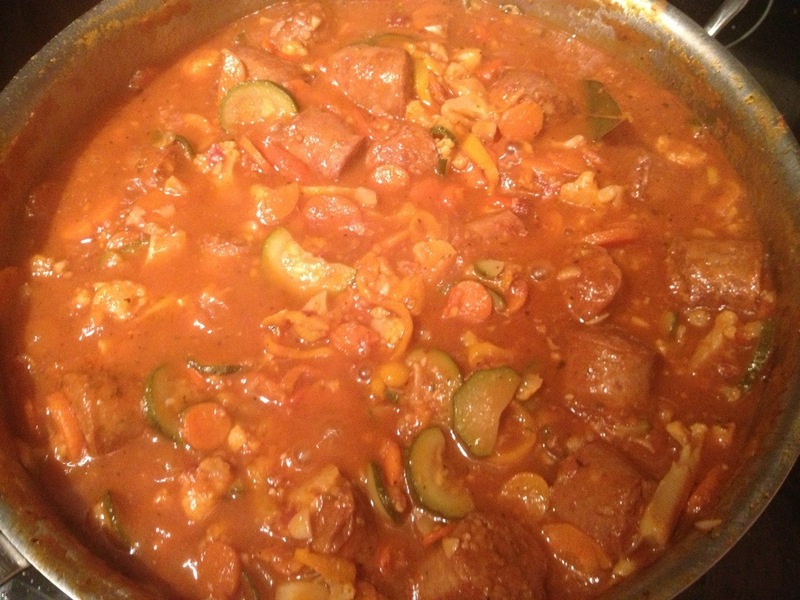 For instance, cauliflower, then zucchini, then peppers so everything cooks to the same consistency. Take your tomatoes and drain the clear liquid off of them. 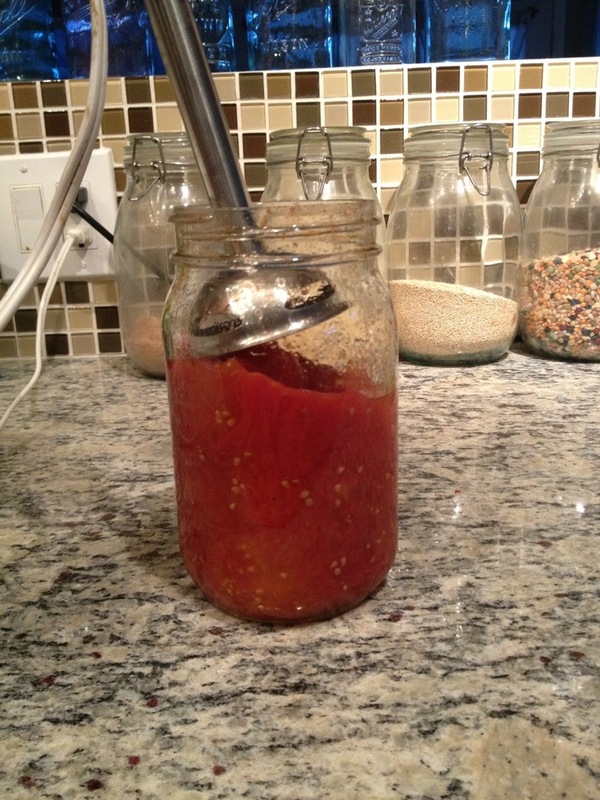 I’ve found that tomatoes really hold the liquid trapped in the jar so I move them around with a fork to release it all. If you canned them in a regular mouth jar screw a blender base on the top. If you use widemouth jars an immersion blender will fit right in the top. 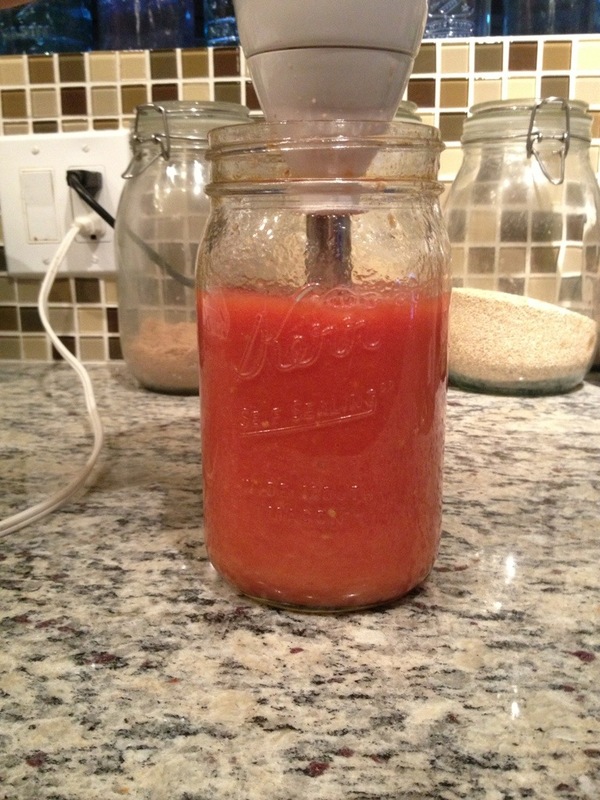 Blend until the tomatoes are pureed. Add the tomato sauce to the pan and bring to a boil. 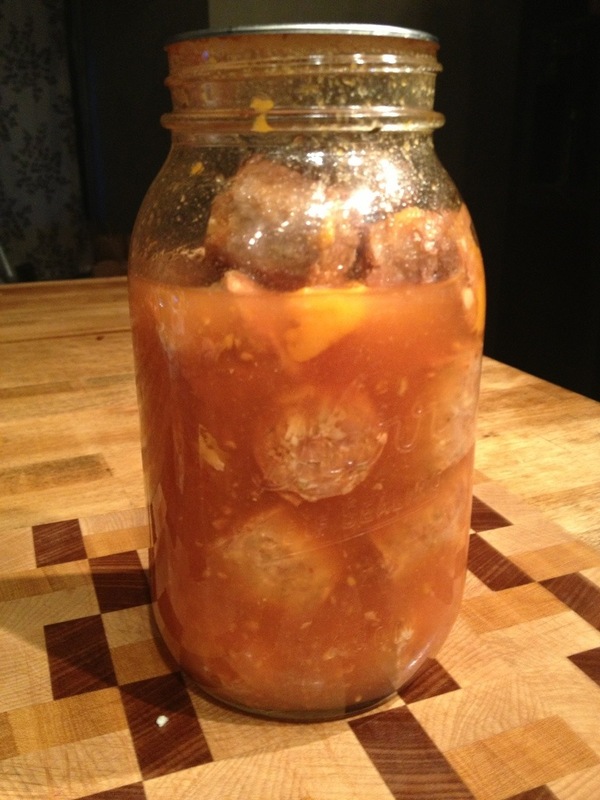 This time around I decided to add a jar of hot Italian sausages that I canned a couple of posts ago. Since they are already in tomato sauce I just added them right in. Add a healthy pinch of oregano, basil and thyme; 2 tablespoons to 1/2 cup of any red wine; and 2 tablespoons to 1/4 cup of balsamic vinegar. I like my sauce on the more acidic side, and feel that balsamic adds some good depth to it overall, so I’m more heavy handed with it. Let the sauce simmer and reduce for a while. 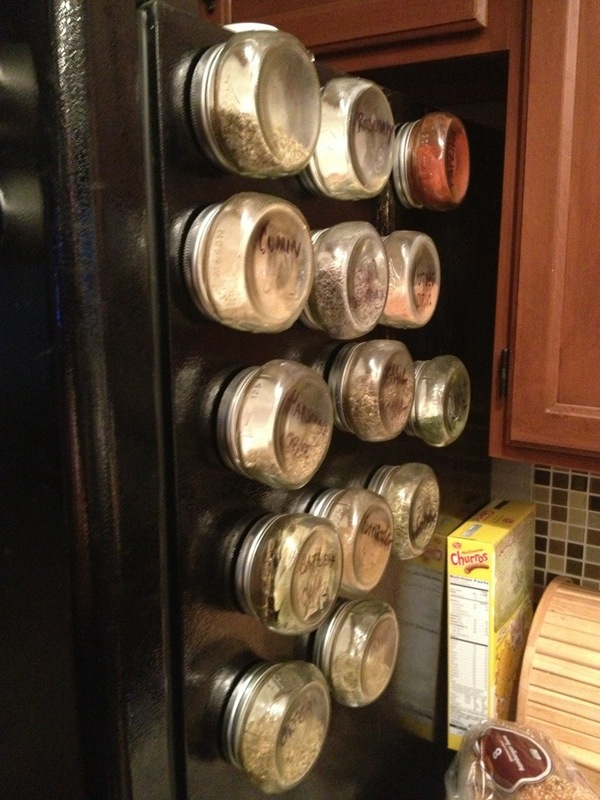 While we are waiting let’s talk about spices. Have you seen Ball’s little shorty half pints? 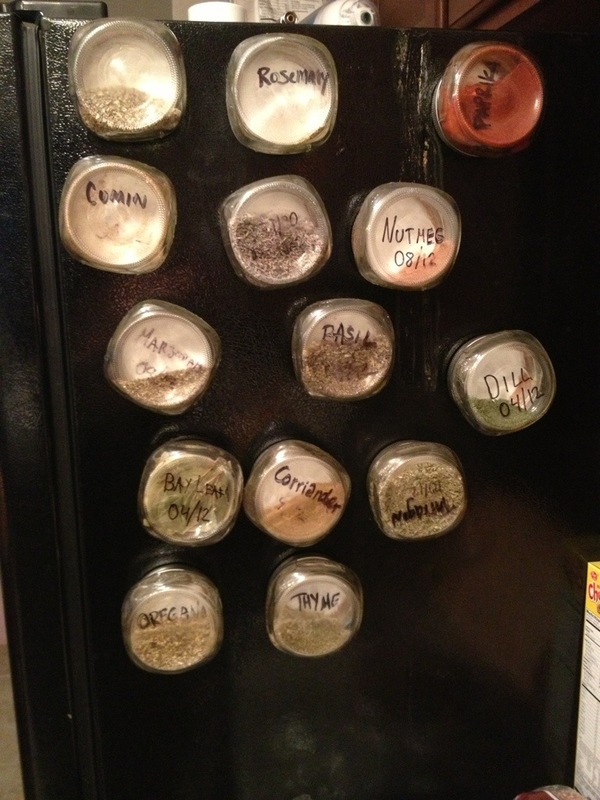 I glued some hobby magnets to their lids and use em as spice jars on my fridge. Ok, back to the sauce. The basic idea is to sauté the vegetables, puree the tomatoes, added herbs and acidity, and then simmer until it teaches the consistency you like. I prefer mine a little on the thicker side, so I let it reduce for a while. 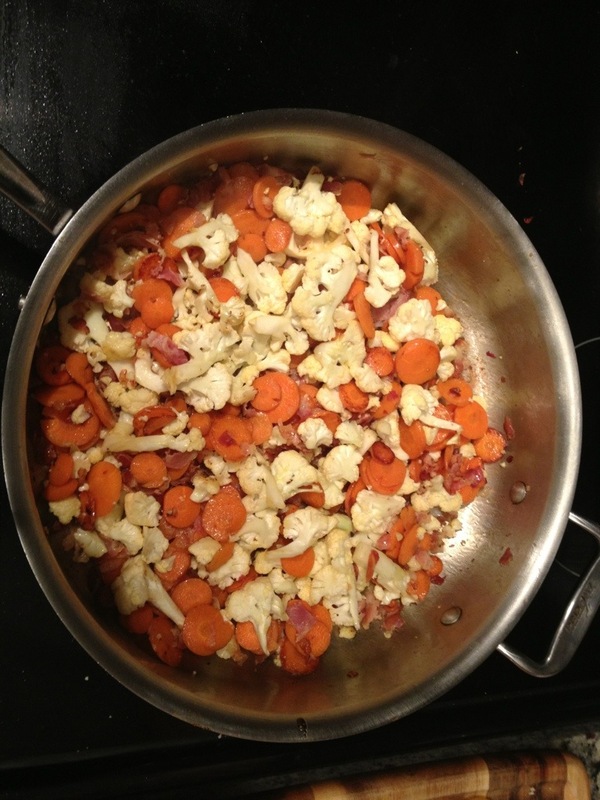 I like this recipe because it cleans out my veggie drawer. Ill add portabellos one week and sweet mini peppers the next. Ive also added kale or spinach to the mix. But my favorite part is that my kids gobble it all up. All of it. They love spaghetti. They love the sauce. And they don’t even care what’s in it. 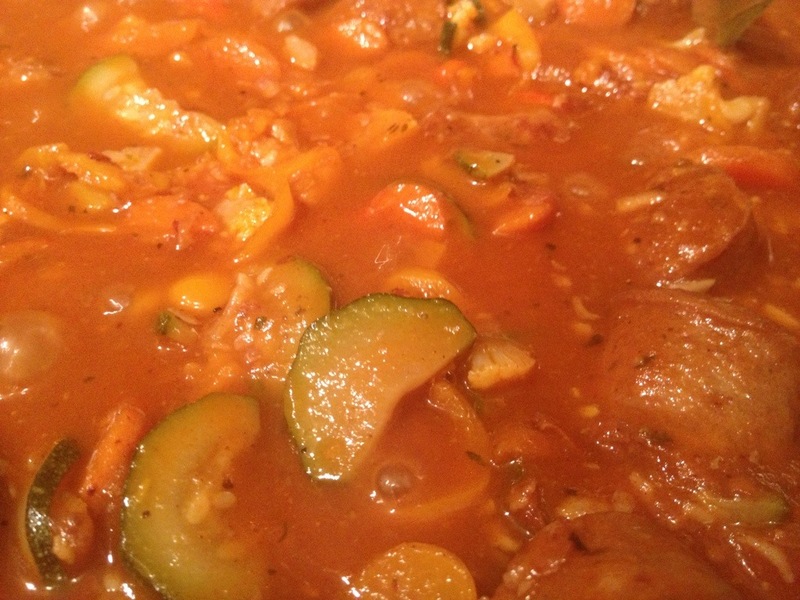 If you have a pasta sauce that uses home canned ingredients, please share it.